JACKSONVILLE, April 3, 2019 – The Jacksonville Women’s Leadership Forum is held to inspire women to take their career to the next level. During the two-day event, there are networking opportunities, panel discussions and notable speakers. Eight panelists from Jacksonville-local companies were chosen to speak and answer questions on behalf of their journeys to becoming a leader in their field. 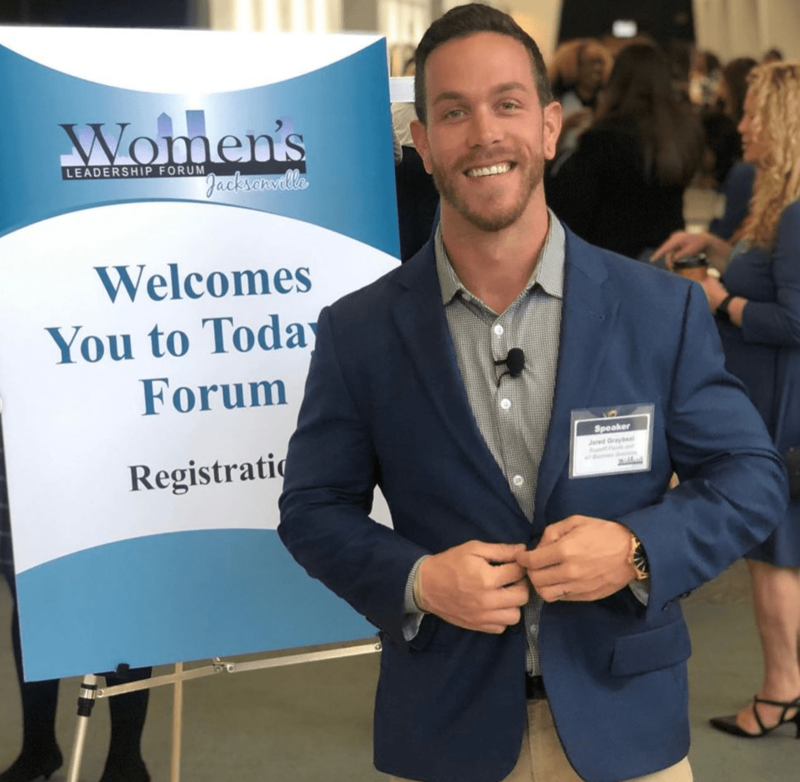 Jared Graybeal, CEO of Superfit Foods, was invited to speak his perspective in front of 200+ females. See below for two questions Jared was asked in regard to women in leadership. Jared spoke alongside the Superintendent of Duval County Schools, the VP of JEA and the Head of Deutsche Bank. “I’m so thankful I got to play a part in encouraging the growth of leadership among these women” said Jared. Superfit Foods is a fully customizable, subscription-based, healthy meal prep company that strives to empower others to live happier, healthier lives. Although local to North Florida, Superfit Foods offers their service nationwide through priority overnight shipping.